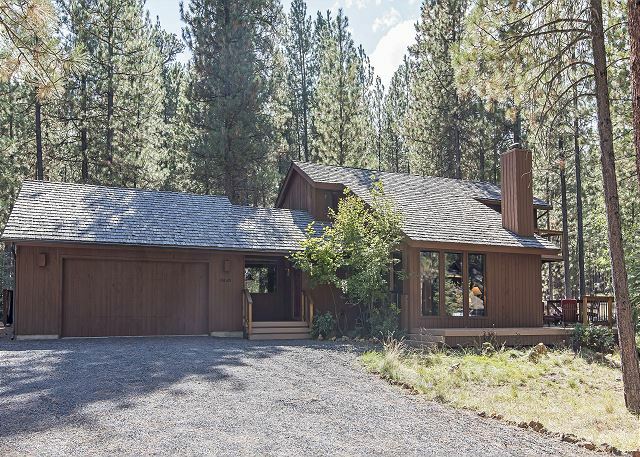 A beautiful area for your Black Butte Ranch vacation, GM#89 provides a mid-sized home at 1771 sq. feet, a perfect size for a small family, group of golfers, or three couples. 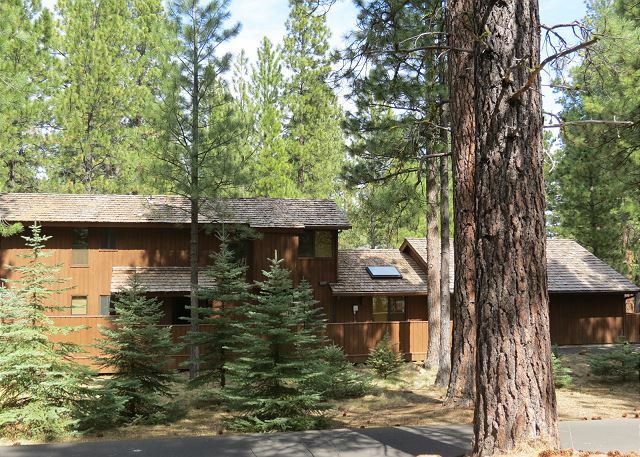 Walk or ride your bike on level terrain to the Glaze Meadow Recreation area to swim, rent a bike, shop in the amazing sport center, take a steam bath, enjoy the spa, play tennis, or romp on the playground. On the way, pass the beautiful Glaze Meadow Golf Course and Homestead Lake with its abundant waterfowl. The Glaze Meadow Pro Shop is minutes the other direction from GM#89 where you can have lunch or golf on the amazing renovated course. 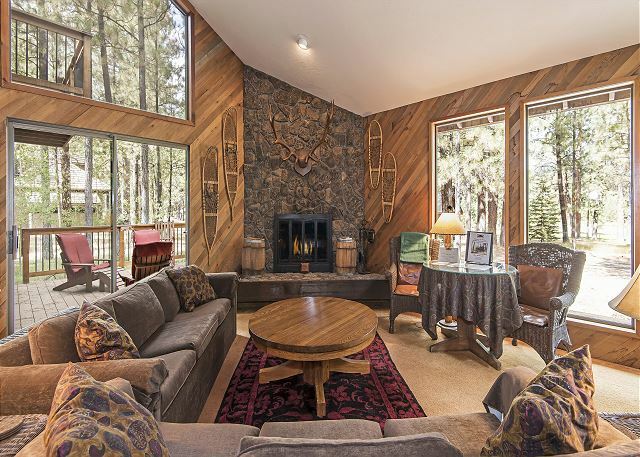 Enter the living room which is open to the kitchen and dining room and has lots of windows to take advantage of the lovely wooded home site with large Ponderosa Pines. You can also see a peek-a-boo view of the newly renovated 2nd fairway from the living room and north deck. 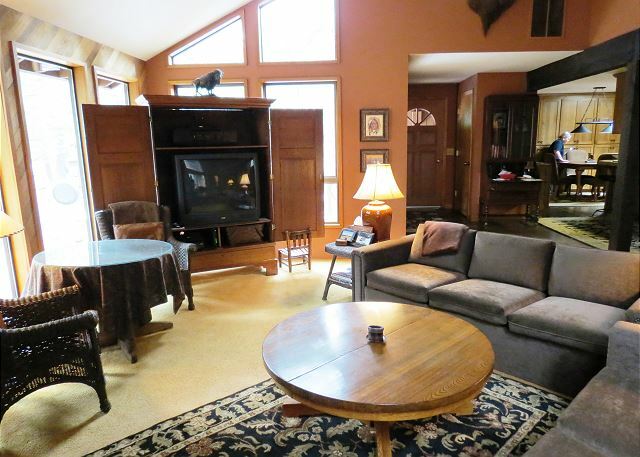 The living room is spacious and comfortable and has a large wood burning fireplace. The kitchen is updated with newer cabinets and granite counter tops and lovely hardwood floors. You can dine at the table or eating bar with it's "tractor" seat bar stools. The laundry area, with its full sized washer and dryer is down the hall. Proceed down the hall to the 3/4 bathroom and one queen bedroom. Two other queen bedrooms in beautiful decorators colors are upstairs with one bath in the hallway with a third bath off the west queen. All bedrooms have televisions. Because of the spacing between the railings, the upstairs is not suitable for young children. A child gate at the bottom of the stairs would be appropriate. The house is more suitable for children above the toddler stage. You will enjoy sunbathing, relaxing with friends or dining on the large decks. Lots of comfortable furniture is provided and a large dining table is available for outdoor meals. Lots of updates throughout plus air conditioning and wireless internet make this a great value for you bargain hunters. The garage is not available for guests' use. The house was comfortable and pleasant and the kitchen was reasonably well equipped. However, one complaint is that we paid $100 as a cleaning fee and still had to do a bunch of clean-up stuff. Seems to me it should be one or the other. Either we do things like stripping the beds, loading and starting the dishwasher, and cleaning the grill and the cleaning fee is a lot lower, or the fee is $100 and we just walk out when we're done. Also, I had a long wait at the office. We stayed a week with our grown kids in the summer. The house was great with plenty of room, and a nice deck. We had a smokey vacation, which is no one's fault, but he house was good for us, a party of 5, with two children. The house was clean, and decorated whimsically in a Western theme. I have two suggestions. One is that there be more available cupboards for use by renters, as over half of the kitchen cupboards were locked,. There was very little storage for one's groceries. Also, some sharp kitchen knives would be so helpful. 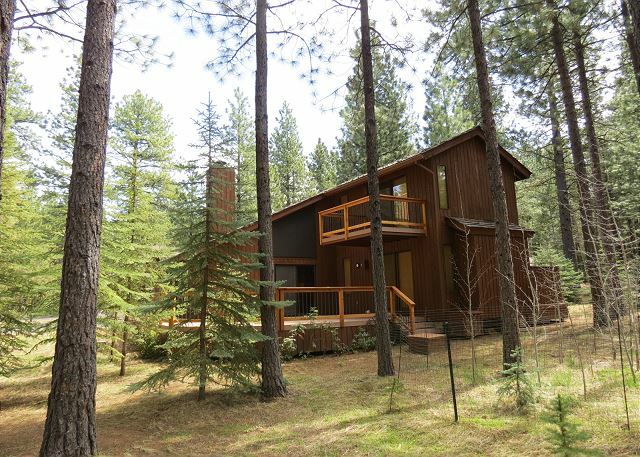 The rental is in a great location, about a 5 minute bike ride to the glaze meadow complex and easy access to all bike paths. The house was comfortable, even though it is one of the older houses in that area. It would have been great to have access to the garage to store our bikes. In addition, almost all cabinets were locked, which made the house seem uninviting. Basic cleaning supplies, like a broom were not available. The house was fairly clean but the kitchen could use a deep cleaning as there were crumbs in and around the fridge. 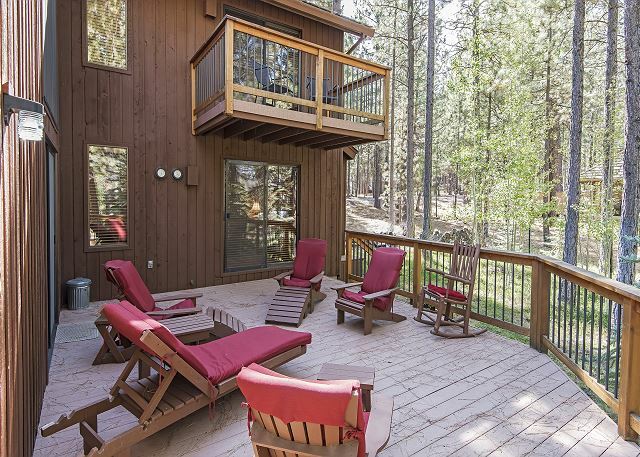 Howell's does a superb job in facilitating your Black Butte rental. Our home was set up for us with a professional eye for all the big and little details that make you appreciate that you are getting your money's worth. 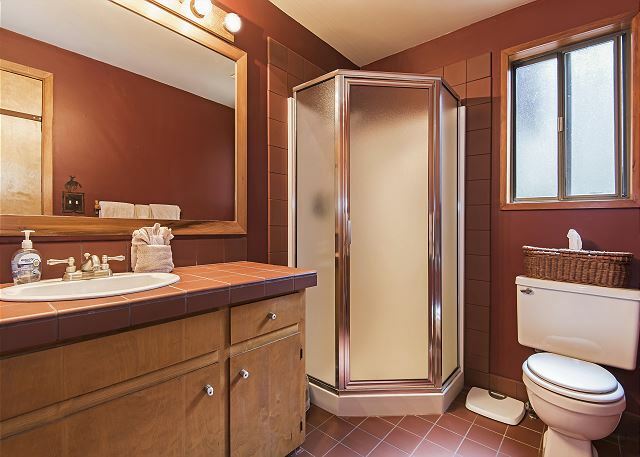 This particular property was just great--very comfortable and with all the amenities. Good location, too.